If breakfast is the most important meal of the day, then mushrooms may be one of the most imperative ingredients. A new study on satiety published in the October issue of the journal Appetite indicates that eating a mushroom-rich breakfast may result in less hunger and a greater feeling of fullness after the mushroom breakfast compared to the meat breakfast. Because protein appears to be the most satiating macronutrient according to the scientific literature, researchers wanted to match the amount of protein in the mushroom and meat interventions to essentially control for the influence of protein on satiety. After matching the mushroom and meat by protein content, both ended up containing comparable amounts of calories as well, which is a common way to match interventions in satiety studies. The 2015-2020 Dietary Guidelines encourage healthy eating patterns that are low in saturated fat, which is found in animal proteins. From meatless meals to plant-centric plates, there are many ways to gradually decrease meat consumption without loss of flavor, and research has shown that blending finely chopped mushrooms with meat can be a cooking technique that’s both nutritious and delicious. Another study conducted by University of California, Davis and the Culinary Institute of America found that substituting mushrooms for a portion of meat helped improve nutrition and flavor. 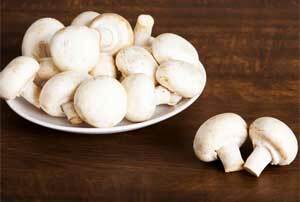 Adding mushrooms to the mix helped lower calorie, saturated fat and sodium intake, while adding nutrients to the plate-like B vitamins, vitamin D, antioxidants and potassium (8-percent). Today, the mushroom-meat mix, also referred to as The Blend, is popular both professional chefs and home cooks.